If you have been wanting to get a waffle maker, here is a deal you may want to check out. 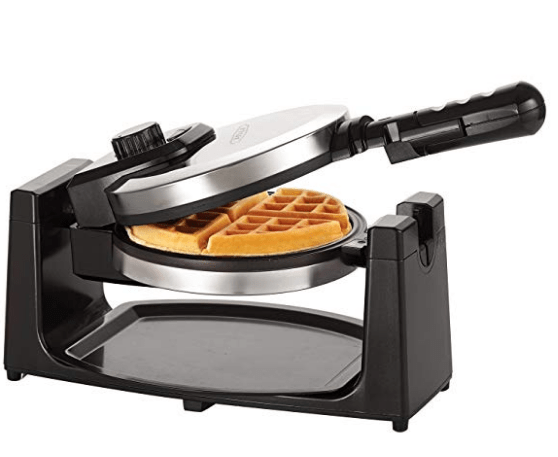 Amazon is offering this BELLA Classic Rotating Waffle Maker! NON-STICK VERSATILITY: We offer 3 superior non-stick coatings from traditional non-stick to a ceramic & copper titanium coating which allow you to cook a wide variety of different foods & batters in your waffle maker, opening a world of waffle heaven. COMPARE THE QUALITY: Compare our wide selection of small kitchen appliances to similar products from Cuisinart, Hamilton Beach, Breville, Oster, Waring, Krups, Black & Decker, Presto, KitchenAid, Braun, All Clad or Westinghouse.